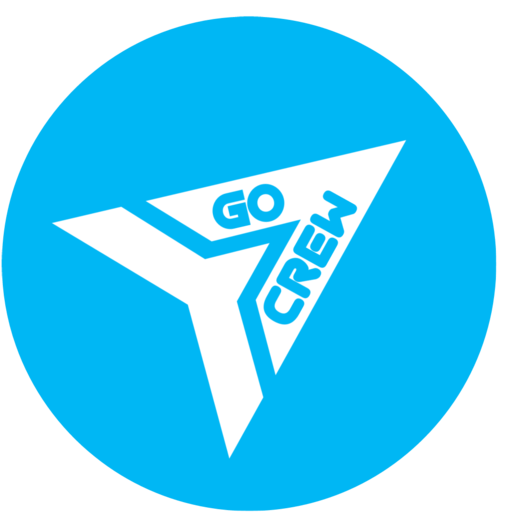 The story of Go Crew starts back in 2013 when I went to tuning meetings with my Mitsubishi EVO IX and to some bicycle tours around the city (Critical Mass). I did not realize until then, how hard it is to catch back up with the group, once you are late or lost, especially when the crowd is a moving target. I tried a couple of times to reach out to friends to send me their location with Facebook, Google or WhatsApp (back in 2013 there was no LIVE location sharing) without any success. 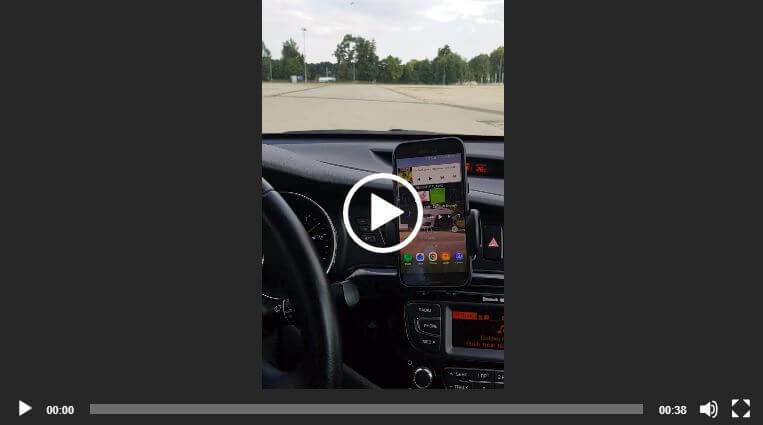 They send one or two times and after that, they got angry because it is difficult to pay attention to the phone and drive at the same time. Not to mention that is dangerous. Therefore, after a couple of times, I realized that I must do something about it. So, the main purpose was the rule “ONE TAP” and that’s it. One tap to share your location and then put the phone on the side and let your friends find you. That was the first string of thought that led to Go Crew that is existing now. I have extended the idea to a map where everybody from a group should see each other; this inspiration came from the Need for Speed game, where you had a round map in the bottom corner of your screen, where you could see your opponents. The two most important features: Real-time location sharing and easy to use. d group, if you see someone on map try to start Google navigation to that location, create your own group with an event on it, send notifications, receive notifications if someone goes online from your groups and more. Now, in 2018, I updated the app to the latest API so it is legit and up-to-google-standards. New Authentication with Google, Facebook, E-mail or Anonymous. Very user-friendly and easy to use. Share your location with a link. GPS arrow movement is smoother than ever. 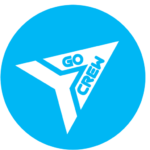 Crew Tab includes a check button for an easier user experience to join a crew. The premium version is much better than the free version since it offers much more than the free version. The FREE Go Crew gives you a taste of how easy it is to use the main feature of the app, but the Premium brings more features to the game. Not to mention that is without commercials. On our https://go-crew.com you can find the comparison between the 2 versions-> Free Vs. Premium. 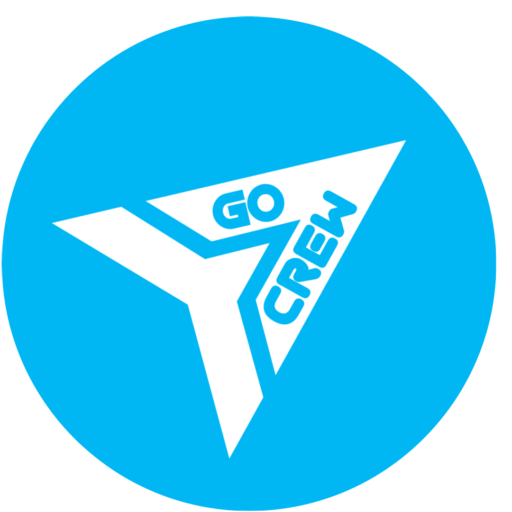 This is the story of Go Crew. Now, of course, the scenarios and the situation where, when and how this app can be used, is limitless. From bike riding to airsoft, paintball, kids watch, spontaneous meets, bus routes, hiking, festivals, traveling, Segway tour,…basically, any kind of activity that involves a group of people moving around. Is easy to use, ONE TAP (or OK, Google start Go Crew) and that is all. Quick, fast, real-time and it simply works. No need to know how to share live location on other apps. If the app is on, your crew can see you. If you exit, then nobody can see you. Easy peasy. Thank you for all your support and if you liked this story, don’t forget to Like, Share and Subscribe to our mailing list to stay updated. This is an application which shows where you and your friends are real-time and where are they heading on the map simultaneously. 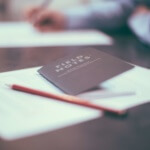 All you have to do is just create your profile, a community (your group) and then tell the others to join. You can also set an event with a destination point and all your friends from that community will see the target destination and also they generate a route(by vehicle, bicycle, transit and walking) to that point. If you are the admin of the group you can also kick joined people or delete the group/community. This app is very simple to use, very UI friendly and you don’t need to make complicated authentication over other social media profiles. You create your profile and that’s it. In 1 min you are on your way. See where your friends heading REALTIME, FAST, and SIMPLE without any other issues or delays. A whiteboard explanation of the app which shows where you and your friends are real-time and where are they heading on map.